AND WHAT ABOUT YOUR DOG AND CAT! Has your pet undergone recent surgery? Is your pet about to have surgery? Is your pet grumpy or lethargic? If yes, massage will be of major benefit to your pet. 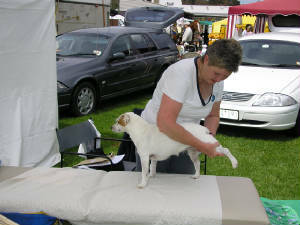 Massage is an aid to keeping a healthy dog or cat fit for life. 11.00 a.m. until 8.00 p.m.